Hi well its the start of yet another week , and a busy week I would imagine here , I have the order from stampin up coming so have to get those out to the ladies , I know I always want my things quick so ill get them out as soon as possible. 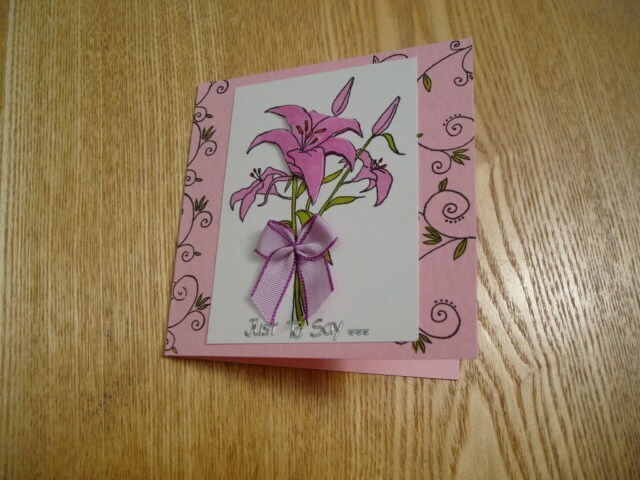 today Im posting a card Ive made from this months LITTLE CLAIRE DESIGNS project club ,ive used my own card etc as i like to save the things they give us for a special card but i couldnt wait to try the stamps. From a fellow DT member at Little Claire, look forward to working with you.